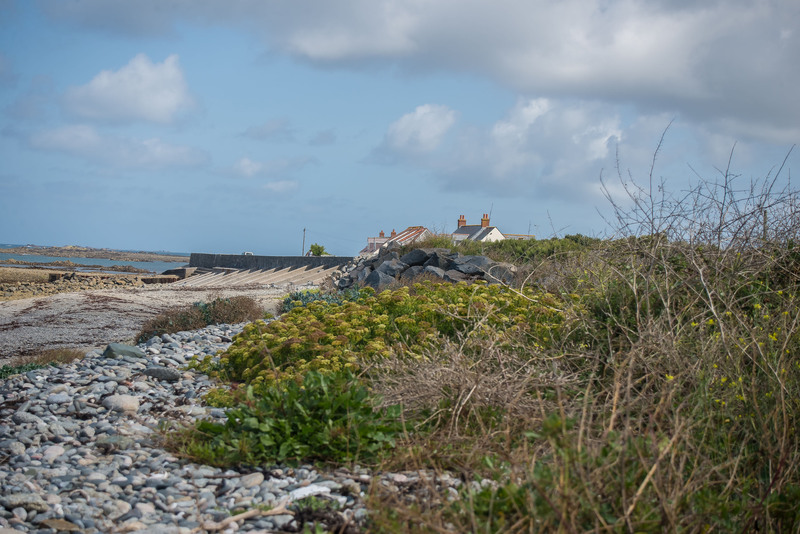 Proud and passionate, the Guernsey people have more than a beautiful island to showcase. The ten-day festival in September is one any keen foodie should be heading out to. Nick gets a preview. It’s salty and citrusy, juicy and crunchy, it’s plentiful and it’s free. I’m eating a handful of rock samphire that I’ve plucked from the ground not twenty feet from the road and it’s delicious. 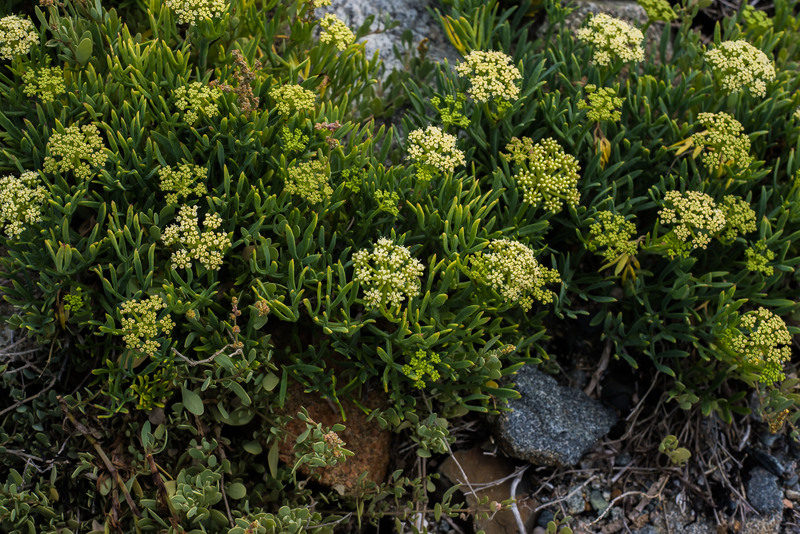 Unlike the samphire you find in the fishmongers, this Guernsey rock samphire is much fresher and almost needs no cooking at all. I stick some in my pocket to nibble on as I watch the local kestrels hovering effortlessly on the wind, keenly scanning the ground for their own free food to appear. As the car weaves inland through the narrow lanes on this small island, toward a goat farm I’m off to visit, another form of foraged food reveals itself, the Hedge Veg. Nearly all the pretty houses have these open cupboard affairs in their front gardens. In them is home-grown food for sale. Fresh, pillar-box red tomatoes, vibrant yellow and green French beans, courgettes and lots of other classic vegetables. Whatever, in fact, is in season. Some are in bags with felt tipped prices, others it’s ‘take what you want and donate what you think’. The system is so widespread and accepted that the islanders are savvy hedge shoppers and will go out of their way to buy at the houses where they know the produce is special. 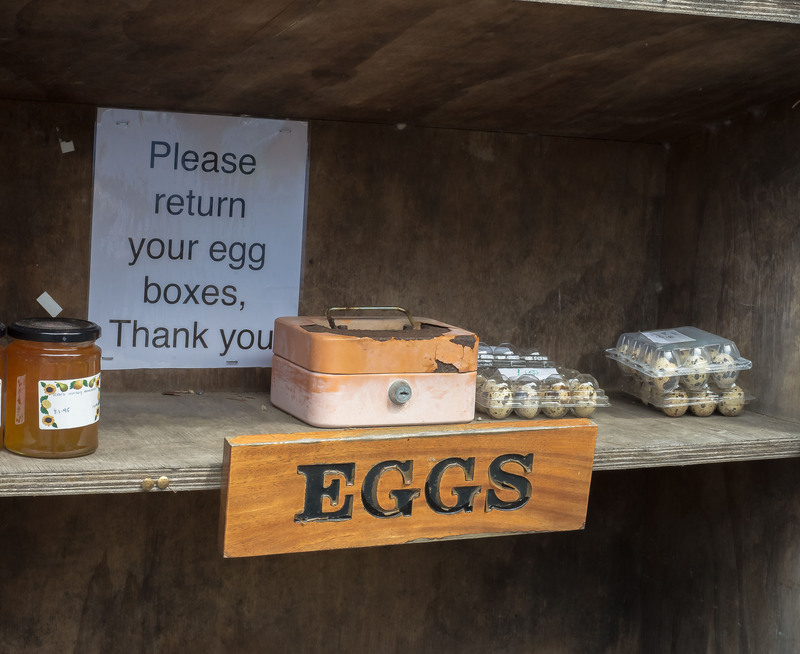 And not just vegetables, there are fresh eggs for sale too, including quail, and even freshly caught crabs, although that box tends to sell out early. The Guernsey people know all about good food and in September they’ll be seriously showing it off to the world at the Guernsey Food Festival. 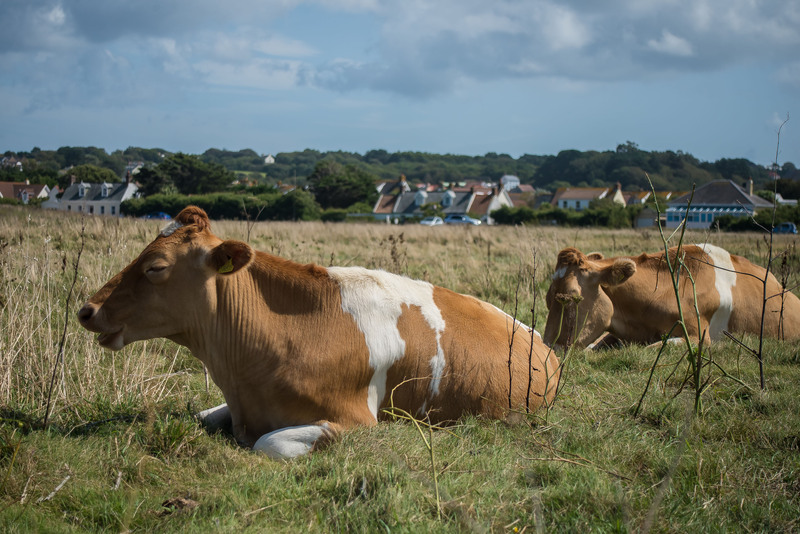 People such as Peter Girard and wife Mandy from Le Douit Beuval, will be there, showing off their goats cheese made from the milk of Guernsey Golden Goats. These are beautiful and pedigree local goats who are kept away from the smelly male goats so that their milk and cheese are mild and delicious. 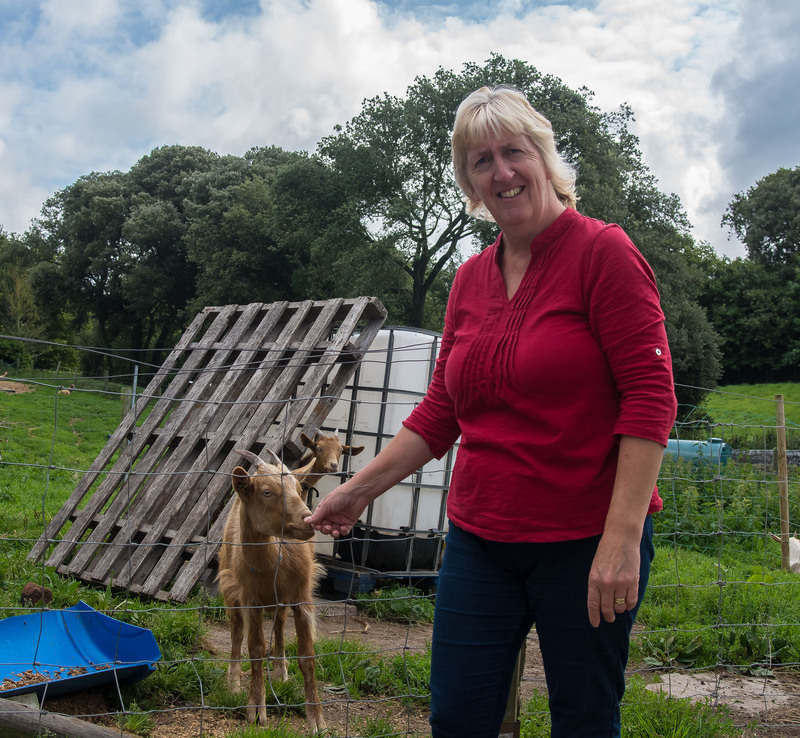 Out at their farm the small fine-boned, goats show real character and even as I talk to Peter and Mandy a few break out of the field and busily set to work munching the lush bank of nettles they clearly had their fiendish eyes on. And it isn’t just food Guernsey is good at, there’s the drink too. Bella Luce, a beautiful small hotel inland, where I ate a well-priced and superb, Michelin-quality meal of Guernsey scallops, pea velouté, tomato and pickled mushrooms, followed by superb local red mullet with some deep-fried samphire and simple, perfect local potato, even has a gin still out back. 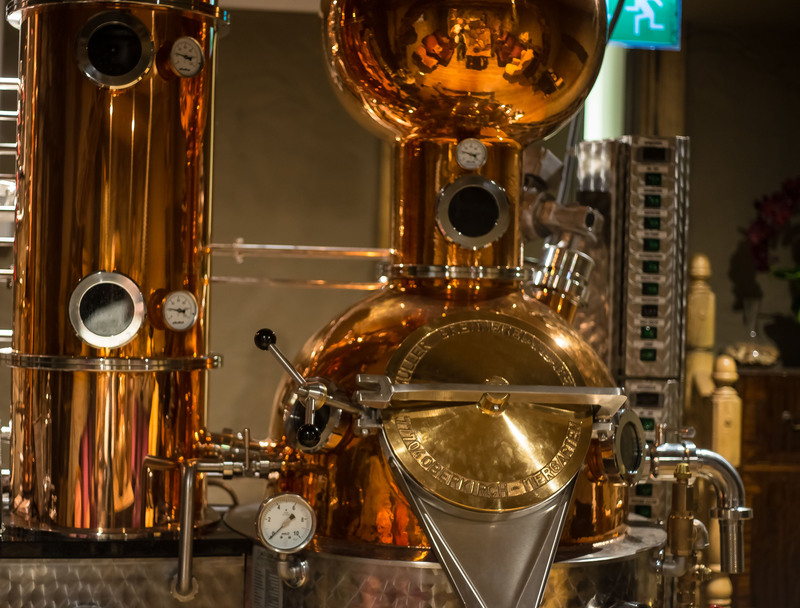 A wonderful piece of engineering it’s the pride and joy of hotel owner and gin maker in chief Luke Wheadon. 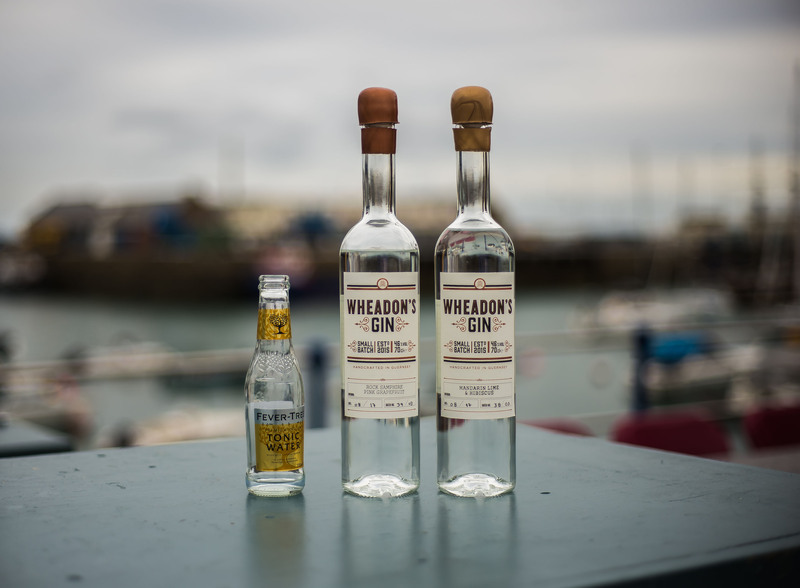 His family have been on Guernsey for at least hundred years and Luke uses the local rock samphire (of course), as well as mandarin limes grown in a local glasshouse and other carefully sourced botanicals to create his artisanal, small batch Wheadon’s Gin. 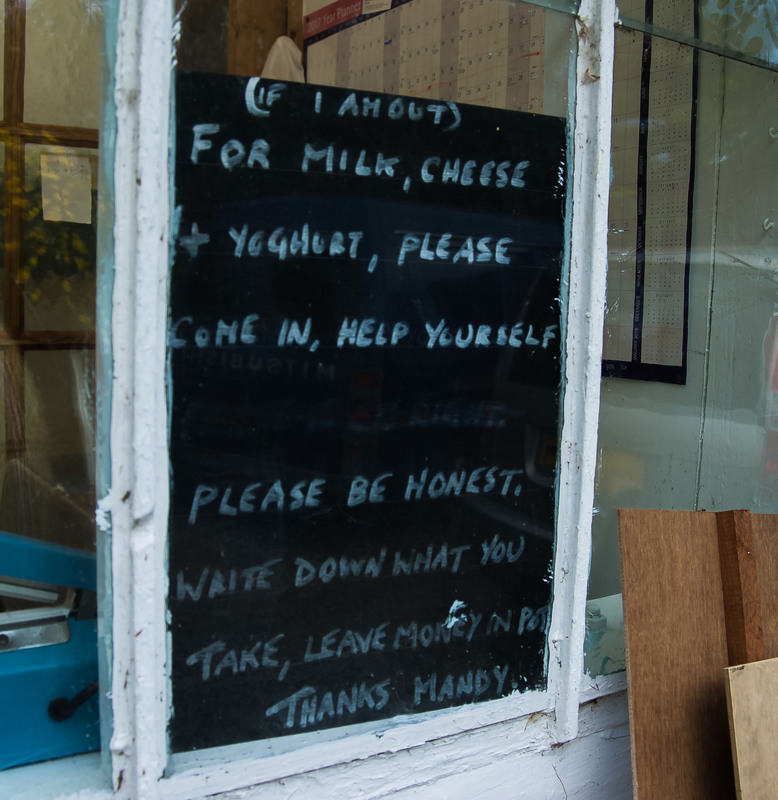 Don’t look for it in your local shops though, you can pretty much only buy it on the island or on the local ferries. ‘Few hotel guests get to leave without buying a bottle,’ Luke says with a grin. 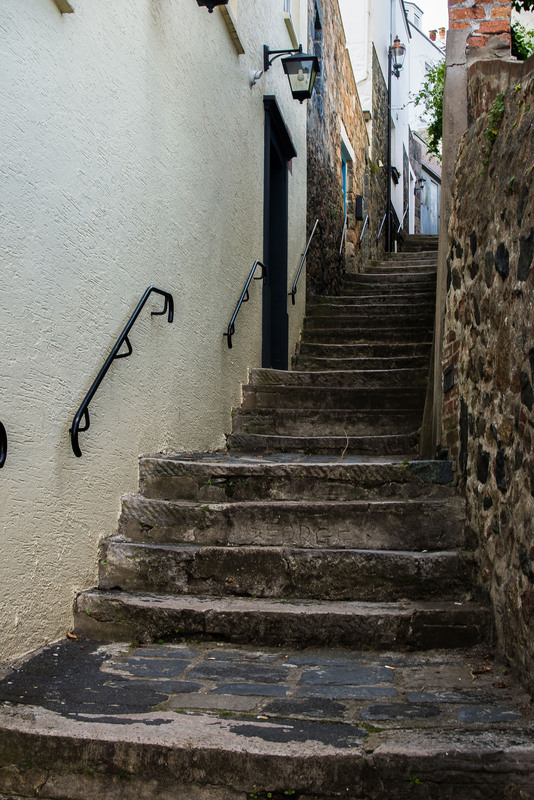 I catch up with him again on Sunday down at St Peter Port, the island’s main port where the houses seem to hang by sheer willpower to the steep sides and where narrow alleyways of stone steps often are the only way to get up to them. Far out in the open water a massive cruise ship is moored, its boats are bringing people ashore to the ‘Seafront Sunday’ market. 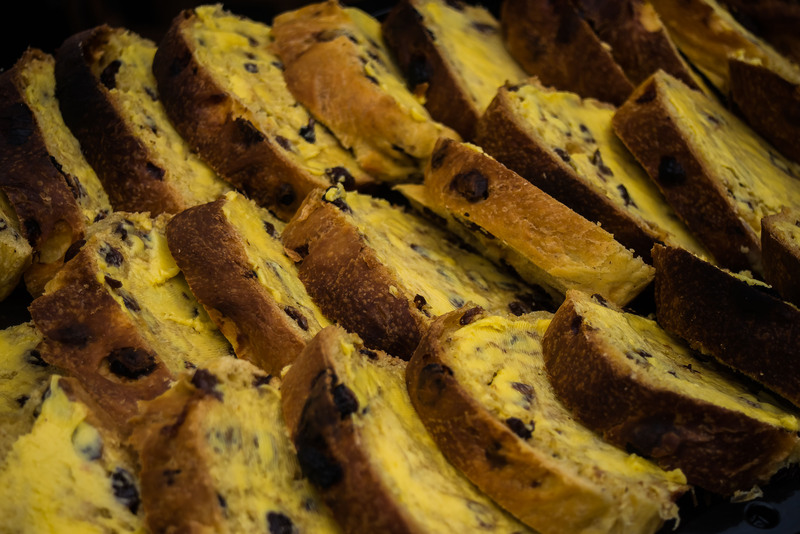 Part of the market is selling local souvenirs, but today is also a special food day, a literal taster of what’s to come 16 – 24 September, when a grand festival celebrates the quality and variety of island food with producers and chefs combining forces to showcase the best of Guernsey, Alderney, Herm and Sark’s gastronomy. Luke is here on the seafront on a stand selling his gin, not just the bottles but as glasses of refreshing gin and tonic. 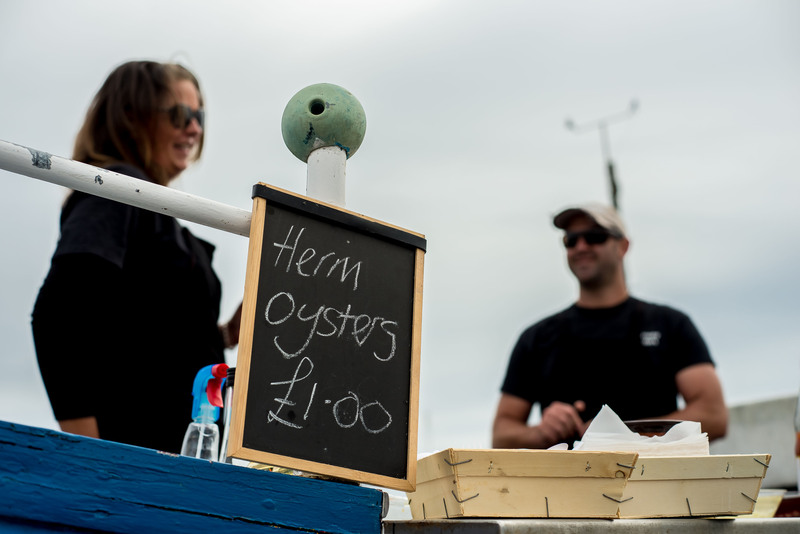 It goes well with the oysters that come from Herm island that are being shucked and sold next door from a boat serving as a shop. Not everyone knows of Herm, one of the smaller Channel Islands, and just a short boat ride from Guernsey. Out there in the nutrient rich waters fed by the Gulf Stream, the oysters grow fast and in profusion. The team are being kept busy this Sunday as demand is high, and when I try a couple it’s clear why. These are fresh as can be, plump and pillowy with all the right notes of brine and iodine. 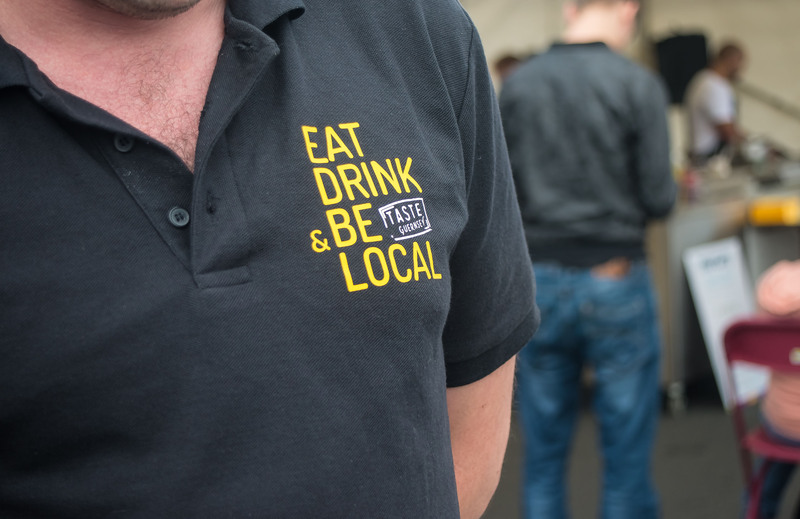 Next door is beer from the Whiterock Brewery, whose founder and boss Ross Gledhill also doubles as one of the leading lights of Taste Guernsey, the people dedicated to getting Guernsey’s food stories out there. Out on the pier he pulls me sample pints of his brew made with as many local ingredients f as he can source. Unlike so many craft beers these days, it’s not over hopped to satisfy hipsters clumsy palates but subtly flavoured and very drinkable. 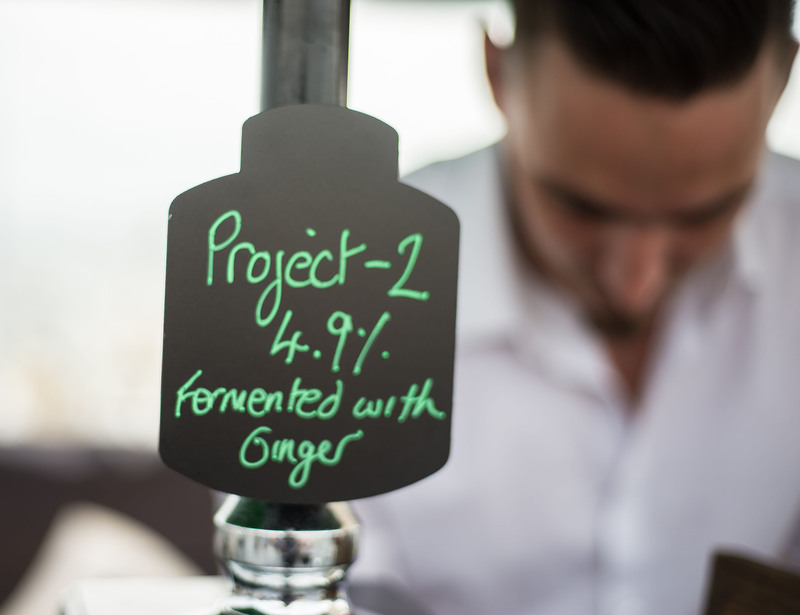 Except for ‘Project-2’, which has been fermented with ginger. I’m not sure I could drink a pint, but it’s an interesting experiment and experimentation is always good. 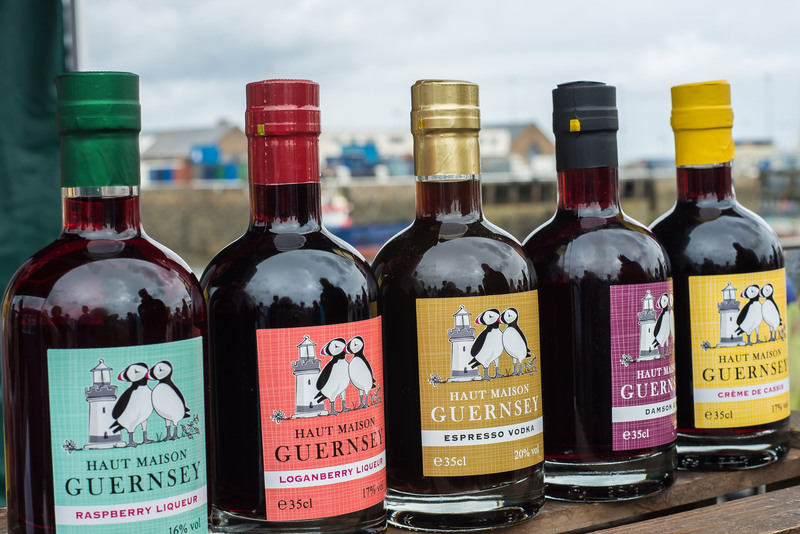 A few stalls further down is Haut Maison a boutique liqueur producer who steep local ingredients to create bespoke drinks. They don’t make very many bottles a year, but the flavours are remarkable and I recommend the Espresso Vodka to get you up and running. It certainly worked for me. A Guernsey cow. On Guernsey. It’s enough to get me to the stand of Rocquette cider. The Meller family have rebuilt what was a fading cider industry and now produce bottled and draught cider of exceptionally good quality, totally organic and with a ‘real’ cider flavour. I sample instead just a bit of Guernsey Bean Jar, a cassoulet kind of creation that was always eaten for breakfast until the 1920s, almost lose my hair trying a range of blistering chilli sauces made with different kinds of local grown chillies and cheerfully eat all kinds of lovely pastries and cakes. You’d think I couldn’t eat anymore, but the harbour is full of fine seafood restaurants and so I wolf down a massive bowl of pasta, mussels and crabs at The Crows Nest with its panaromic views. And then, full of bonhmie and great food, I wander off to explore the local streets and shops, the ancient fortifications and simpy just gaze out to sea. Guernsey is close to France, close to England but remains uniquely Guernsey. Come for the scenery and tranguiity and stay for the food. We stayed at the wonderful Ziggurat Hotel, with its lovely gardens looking out over St Peter Port harbour and a Moroccan evening menu that makes great use of local produce. Also see Twitter and Instagram. For more information on what to see and do in Guernsey, visit www.visitguernsey.com. This entry was tagged channel islands, culinary tourism, Food, guernsey, nick harman, wheadons gin. Bookmark the permalink.